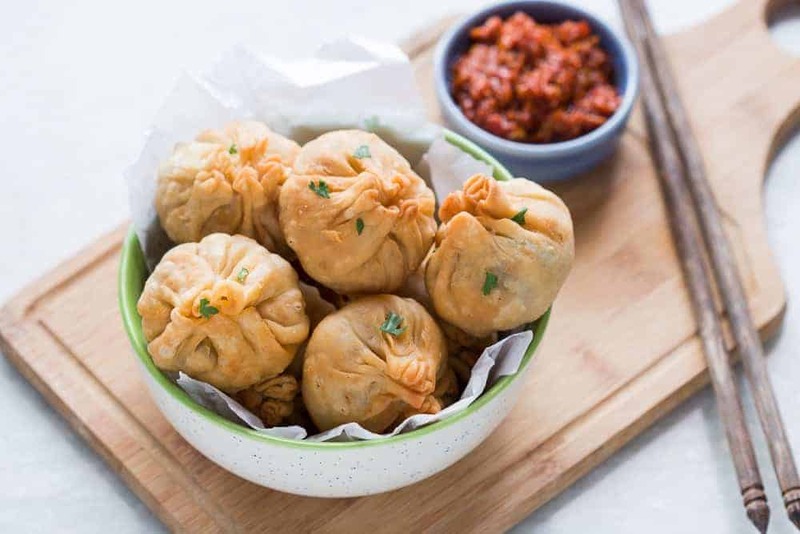 Super cheese jalapeno three cheese samosa are sure to become a favourite because who can resist gooey stringy cheese stuffed in crispy samosa wrappers! I have step by step directions to show you how to wrap these! I have a confession to make. I can’t resist samosas. If I see them, I have to eat them. And let’s not even talk about the regular cravings I have where I start thinking about them right after lunch, and can’t do anything else till I can have some. It’s definitely not one. At least two. But mostly three. Now I don’t even need an excuse because Diwali is right around the corner and there is no Diwali without samosas. I’m thinking a glass of wine, these almost-gourmet jalapeno three cheese samosa and roasted nuts. I can’t think of a better way to party this festive season. While I love the regular Punjabi aloo samosas, I’ve been making this cheese version for years because ooey gooey cheese is sometimes even better than masala aloo. What’s even better is that you can make them ahead and freeze them. Obviously, I always have a batch in the freezer, so if you ever decide to drop in without warning, you know what I’m feeding you. When I first started making them, it was just cheese, but then I started experimenting and realized that the jalapeno totally works here. It actually does the job of balancing out the cheese really well. You don’t need much else for these samosas. We are using three cheeses actually – cream cheese, mozzarella and smoked cheddar. Mozzarella can be really mild tasting on its own, so the cream cheese adds creaminess and the smoked cheddar adds the flavor. 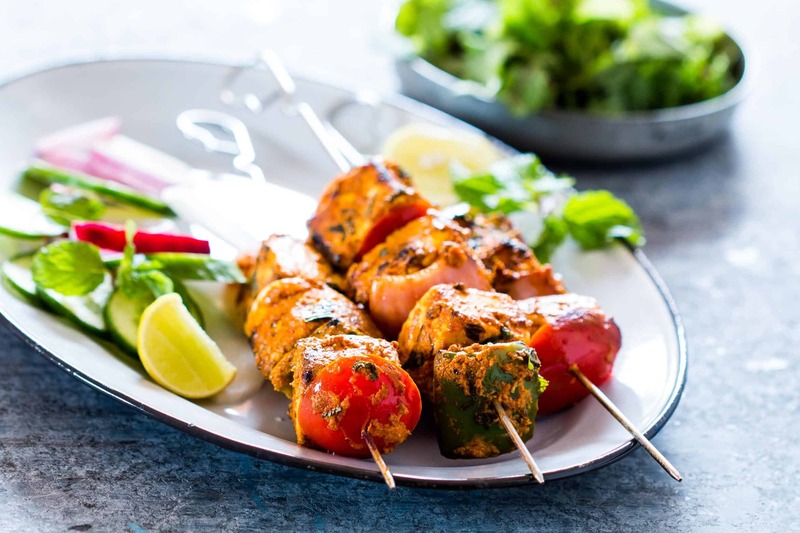 Jalapeno gives it a slight kick and you seriously have a winner here. While you would regularly pair samosas with chai, cheese and chai is not the best combination. So, I pour myself a glass of Big Banyans Rosa Rossa and bite into these crunchy, cheese samosas. Let’s just say the flavors are fantastic together. The Rosa Rossa is a light bodied wine, so it doesn’t take away from the taste of the samosas but the hint of berries and cherries in it, actually complements them. I also love the color, which is so unique because you might be able to see specks of violet and pink if you hold it up to light. I’m actually gifting my mum and dad a bottle this Diwali because I don’t think they’ve tried Rose before. Don’t write off this combination of samosas and wine before trying it, because 5PM on Diwali evening is the perfect time to start the party. Super cheese jalapeno three cheese samosas are sure to become a favourite because who can resist gooey stringy cheese stuffed in crispy samosa wrappers! 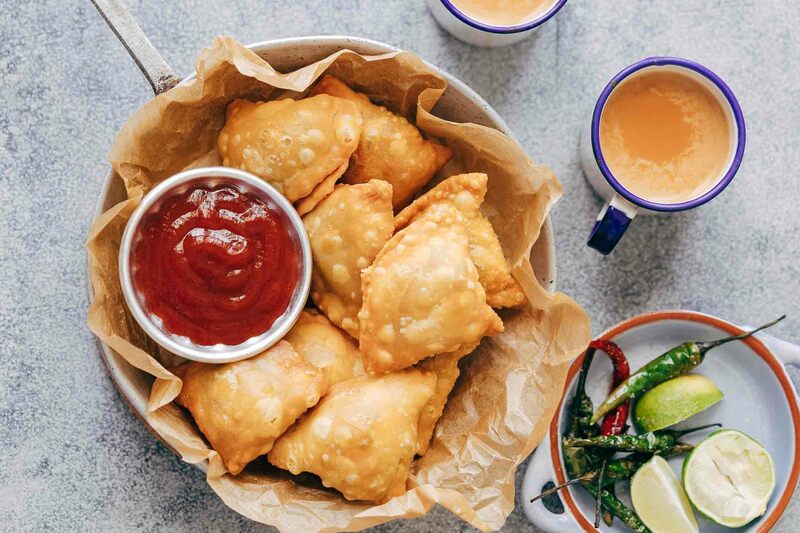 These vegetarian samosas have a filling of mozzarella, cream cheese, smoked cheddar and jalapenos and folding them is really easy too. Samosa Filling: In a bowl, mix together all the ingredients for the filling till well combined. Samosa Wrapper Glue: Mix together the all purpose flour and water till a smooth paste forms. This will act as glue when we start wrapping the samosas. To start wrapping the samosas, make sure the samosa sheets are completely thawed, and keep them covered with a damp cloth so that they don’t dry out. Start by bringing the bottom right corner of the sheet, halfway up to the left side. From the top, you should be able to see a triangle forming underneath. Add some of the flour paste to stick the fold that has formed to the rest of the sheet. Add a little more paste to the left hand side of the sheet. Now bring the triangle that has formed on the left side, down to the right side, landing on the paste you just added. A cone shape should now be formed. Make sure that each corner of the cone is tight, and there is no hole there or the filling will escape while frying. You can use the samosa glue to seal it together. Lift the samosa sheet and hold the cone in your hand by forming a circle between your fore finger and thumb. Stuff the cone with about 1½ tablespoons of the cheese mixture. Place the filled cone/sheet back on your working surface, and lightly flatten the filling. Seal the edge with some samosa glue so that the filling doesn’t escape. Brush the samosa glue on all the remaining sides as well. 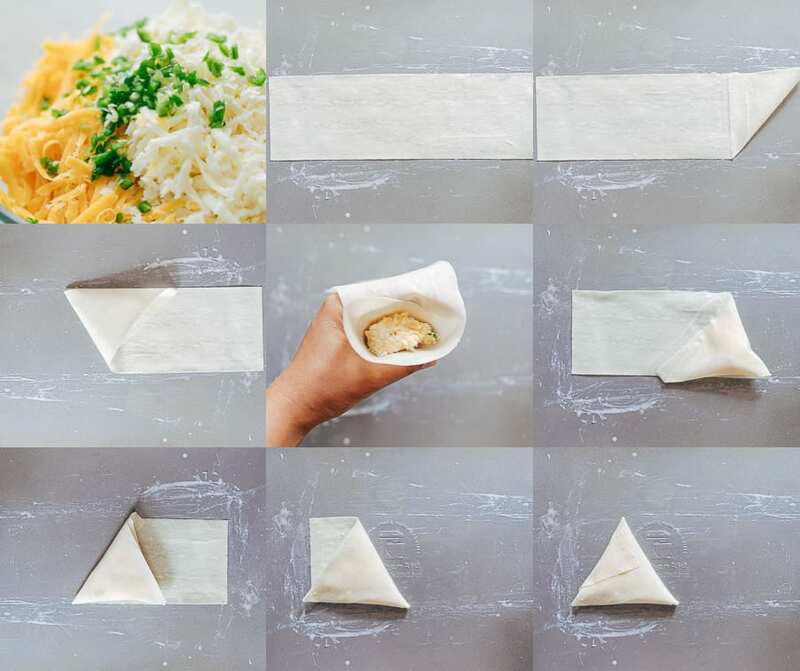 Fold down the filled cone to the left side, then fold once again to the right side. You should now have a perfect triangle with a little wrapper sticking out. Bring the tail up and glue it with the samosa glue to the triangle. This should give you a perfect samosa. Repeat to make the remaining samosas. Place the samosas on a large baking tray and refrigerate for at least 30 minutes. At this point you can also individually freeze them, and place the frozen samosas in a ziplock for use later. Frying Samosas: Fill a pan or skillet with about 1 1/2 inches of oil. Heat the oil till a small piece of wrapper floats instantly to the top. Reduce the flame to medium high and add the samosas to the oil. Do not overcrowd. Fry them on each side for 2-3 minutes till they are golden brown. 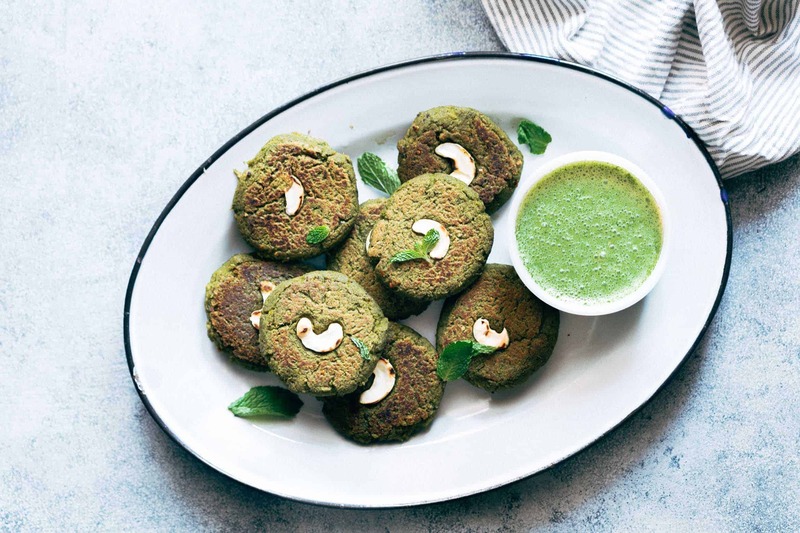 Transfer them to a plate lined with paper towels and then serve immediately. nice work , chinese potli samosas , i will call this momos samosa hahahah…..
Hi, this looks delicious. If I were to freeze them, would I need to thaw them before frying or do they go from the freezer straight into the hot oil? Hey Reva, you can leave them out to thaw for 20-25 minutes and then fry these.